In early May 2015, Google released yet another update to their algorithm that shook up the search results. This shouldn’t come as a surprise considering how frequently Google is rolling out updates these days. This update in particular, named “The Quality Update,” changed the way Google analyzes the quality of any given webpage’s content. Unfortunately, Google didn’t give any information about how they changed their algorithm so nobody knows for sure. What we do know is that Google has always been, and will continue to be, relentless in their quest to improve the quality of their search results. You can safely bet the farm (hat tip to my family in Iowa) that updates like this one will surely follow for both desktop and mobile search results. How Does This Update Change Your SEO Strategy? As mentioned above, we don’t know exactly what Google changed with this update. However, it doesn’t really matter. That’s right, it does not matter what was changed because this update should not affect your SEO strategy! It’s no secret that Google is pushing for higher quality content in their search results. Over 4 years ago, Google published tips for webmasters and businesses urging them to focus on higher quality content. As long as you’ve been focused on SEO best practices, then again, nothing has really changed. Focus on quality over quantity with all of your content. 1. Is your content useful and informative? In other words, are you providing enough information in your content? Remember, Google wants to satisfy the person searching in Google.com. That means when someone clicks through to your website, Google wants to be confident the person will find all the information she needs right at her fingertips. One way to get ideas is to review the webpages that are already ranking in Google for the keywords you want to rank for. What information do those sites have that you may be missing? 2. 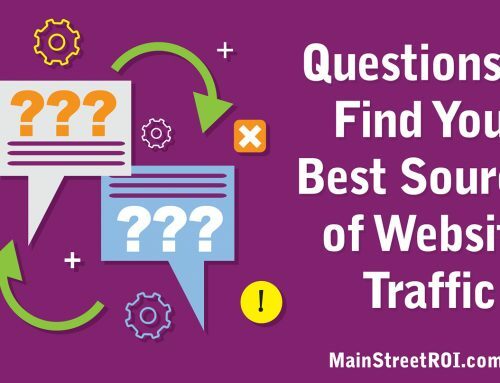 Is your content more valuable and useful than other websites? In an ideal world, this is the question that Google wants their algorithm to answer so that the absolute most valuable and useful webpages are ranked #1. That’s their mission. Again, we need to review the webpages that are already ranking to find ways to improve our own content. If you create the best page on the Internet for a given topic, you’ll have a much easier time ranking higher in Google. 3. Is the author and your website credible? New websites and new authors by default do not have much credibility. That’s not to say they won’t in the future, but the reality is when you’re just getting started Google is not going to fully trust you. Over time, as you build up your credibility and authority in your industry, then your rankings will improve because Google will see you as a trusted source for information. One way to build your credibility is to build relationships and share content with other credible websites. Another way is to simply display credibility indicators and logos (ex. BBB Accredited badge), which show your prospects and Google you’re running a legitimate business. 4. Is your content well written? This is the most obvious criteria when we think about high quality content. Is your content grammatically correct? Are there typos? Are the stated facts actually correct? If you’re not a strong writer, then I recommend hiring an editor to review your content before you publish it. For obvious reasons, Google does not want to rank webpages that are poorly written and hard to read. 5. Is your content engaging? The final criteria is engagement. Would your target audience want to bookmark your webpage, share it with a friend, recommend it to a colleague, or submit a comment? If not, then this can hurt your rankings. To find ways to make your content more engaging, I recommend you review the most shared content online. How? Go to BuzzSumo.com and search for a relevant topic. This tool will show you the most shared articles so you can review and determine how to improve your content. Quality content is just one of many factors that Google considers in order to rank your website. If you want help to determine what’s preventing your website from ranking higher in Google, then I recommend an SEO Audit. To get started, click here and we’ll have your Audit complete within 2 weeks.